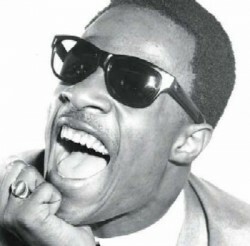 Stevie Wonder had been at Motown since he was twelve years old. Though he had a number of hits, Wonder didn’t start to show his true potential until the For Once In My Life album. The single “I Don’t Know Why” (co-written and produced by Wonder) gives a glimpse into things to come. Any thoughts of “Little” Stevie Wonder are erased as he pleads to understand why he continues to love a cheating woman. Up next was My Cherie Amour. While not his strongest pre-classic-period album, Cherie has some bright spots. In addition the title track and “Yester-Me, Yester-You, Yesterday”, the album includes some decent covers, namely “Hello Young Lovers” and “Light My Fire”. “Hello Young Lovers” sounds nothing like the mellow lounge version; “Light My Fire” starts with a driving guitar riff before diving into a funky bass line.